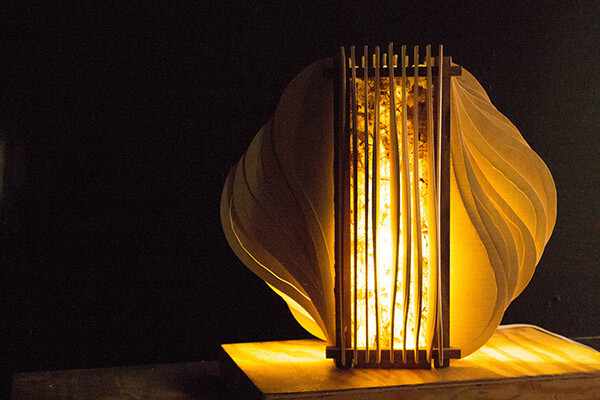 This project was inspired by the form of the chinese lantern. The choice of the material was inspired by the traditional japanese lantern. Organic forms are often appeared In many of my projects. 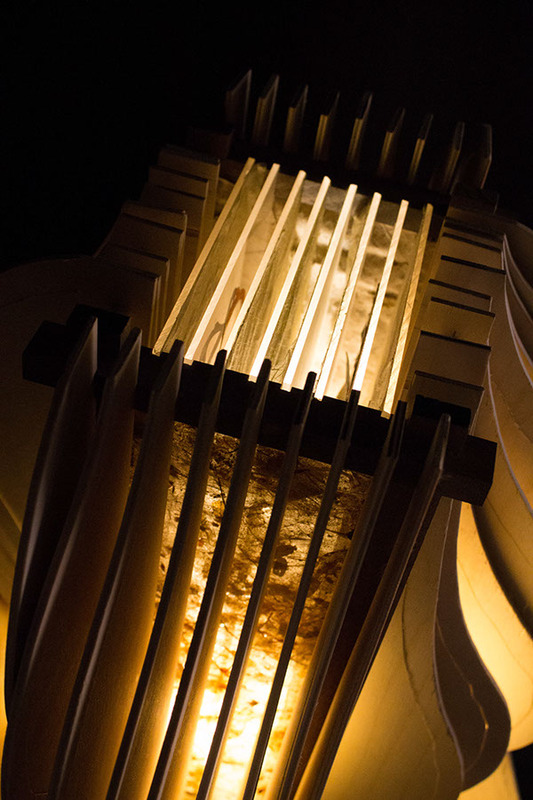 In this project i used a number of flat pieces of thin wood to create a 3D organic formation. Used japanese styled leaf paper on two sides to let the light shine through. Used 8 pieces of plexy glass in side. 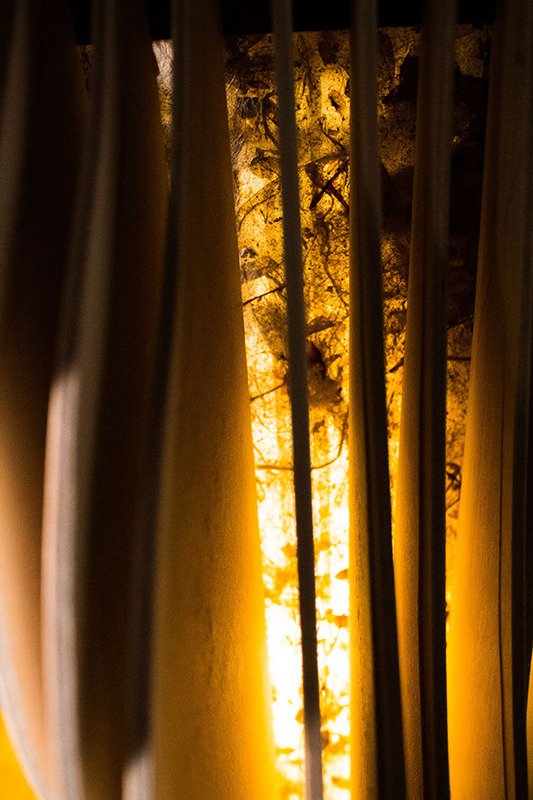 When the light shines through the plexy glass, the paper pattern on each plexy glass stacks up and show the layers of a traditional image of a japanese woman. Front view of the paper pattern on plexy glass inspired by the chinese shadow puppetry play. 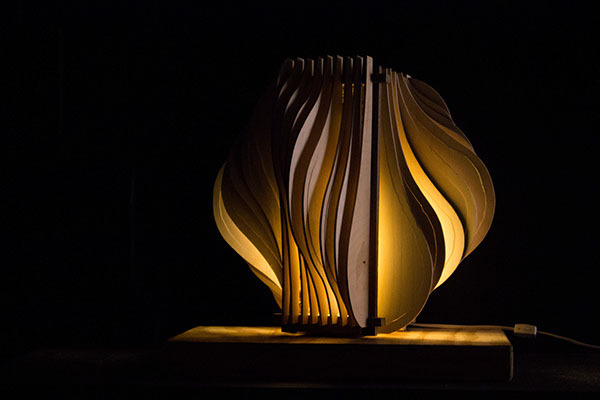 Design and construct a full-scale lamp with three distinct elements, a light diffuser, a structure to hold the light diffuser and a support structure for the lamp. 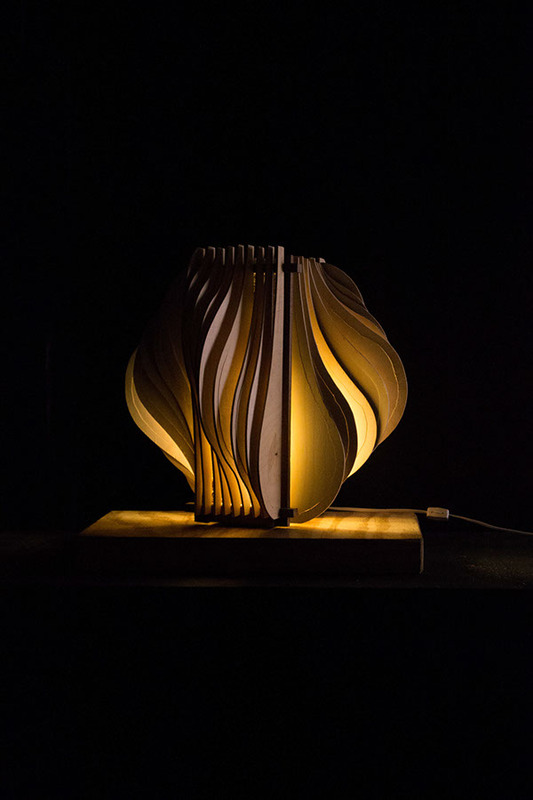 The lamp has to be designed for a specific purpose and environment and it can be a table-top lamp, a floor-standing lamp, a sconce or a hanging lamp.